WASHINGTON — Fleet operators SES and Intelsat asked the U.S. Federal Communications Commission to extend the deadline for their customers to register C-band dishes before the commission decides on the band’s future use. The two companies said they are “gravely concerned” that the commission’s current rules for registration remain too cumbersome for most customers to complete, making the FCC’s database of C-band users smaller than the true number. Writing to the FCC June 18, SES and Intelsat said the commission should allow U.S. C-band dish operators — the vast majority being broadcasters — to file one application per organization instead of one per dish. That application should have one fee, the companies argued, to drastically lower the cost. The FCC on April 19 stopped accepting new C-band registrations in the 3.7 to 4.2 GHz range so that it can finalize its assessment of the C-band user base. The commission will decide next month how to repurpose the band so that it can support more functions than satellite communications, namely 5G cell networks. Luxembourg-based SES and Intelsat of Luxembourg and Washington asked the commission to grant a 60-day extension. “Given the time-sensitive nature of these matters, SES and Intelsat request expeditious Commission action,” the companies wrote. Intelsat and SES together hold more than 90 percent of U.S. C-band spectrum rights. The operators, together with Intel, have proposed a plan to the FCC to cede one-fifth of the band to cellular operators on an as-needed basis in exchange for new users covering the cost of moving customers and lost business. As the window closes for C-band registrants, the FCC agreed to waive frequency coordination documentation — a process that typically costs around $700, according to SES. The commission does still charge a filing fee of $435 to register each dish. The cost of the voluntary process continues to discourage many registrants, satellite operators claim. Intelsat said one known broadcast customer with 3,700 unlicensed dishes would have to complete individual paperwork for every single dish and pay more than $1.6 million in filing fees. Intelsat and SES have both highlighted the importance of C-band for the satellite industry despite the dearth of hard data. In a presentation at the New America think tank here June 15, Intelsat’s Vice President for Spectrum Strategy Hazem Moakkit said more than 100 million U.S. homes rely indirectly on C-band for television programming. 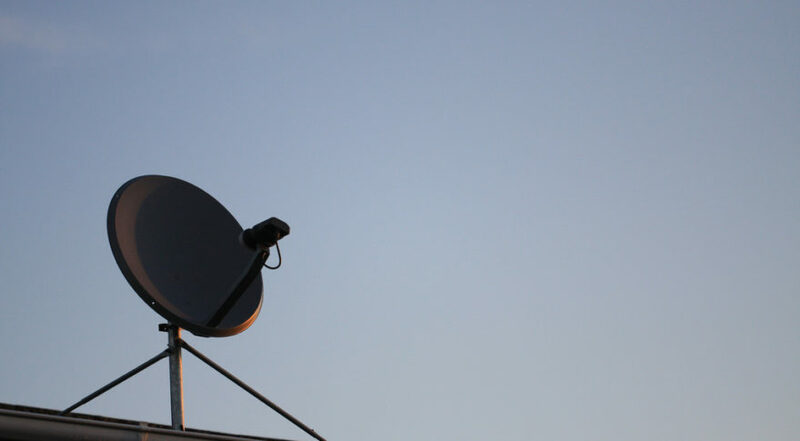 To prevent interference from new users, Moakkit and Michele Farquhar, counsel to SES and a partner at Hogan Lovells, cautioned that satellite signals will need to be distanced from other users. Farquhar said a guard band that could be as much as 50 additional megahertz will likely be needed if the FCC accepts the satellite industry proposal. That would leave 350 megahertz for satellite users. Moakkit said C-band users can’t afford to have noise from other sources even in adjacent bands. “We can’t live with that. It’s pretty much like if you have a baby and are trying to put the baby to sleep and then a frat house moves next door,” he said. Farquhar, echoing comments made in April by SES CEO Steve Collar, said all 500 megahertz of C-band band is already in use, and the loss of even the 100-plus megahertz as proposed will likely require new satellites, filtering technology and fiber installments for ground infrastructure. Terrestrial communications companies have their eyes on more spectrum than the satellite industry wants to give up. FCC Commissioner Michael O’Rielly said in a May 31 tweet that he was “leading [an] effort to reallocate good portion of 3.7-4.2 GHz” for 5G. How big that portion is remains to be determined.